At Gibsonville United Methodist Church, we believe mission programs help children develop stronger relationships with God and with each other. We have developed a very active missi﻿on program for our children and youth, focusing on both short-term and long-term projects serving both people around the world and in our own backyard. The Children recently completed their goal of raising $5,000 to purchase an Ark from Heifer International. The money will be used to buy animals for families in need around the world. For rising 8th graders through high school grades. Carolina Cross Connection (CCC) is a Christian youth mission in western North Carolina helping students and adults make a difference with folks in need while allowing Jesus Christ to transform their own lives to look more like Him. A week at one of these youth mission trips includes all service project planning, supplies and tools as well as worship, devotions, team-building activities, and fun and games! Each month, the children gather with party supplies and snacks and head our for Pathway House in Greensboro (homeless shelter for families). All children and their families are invited to participate in this fun mission! 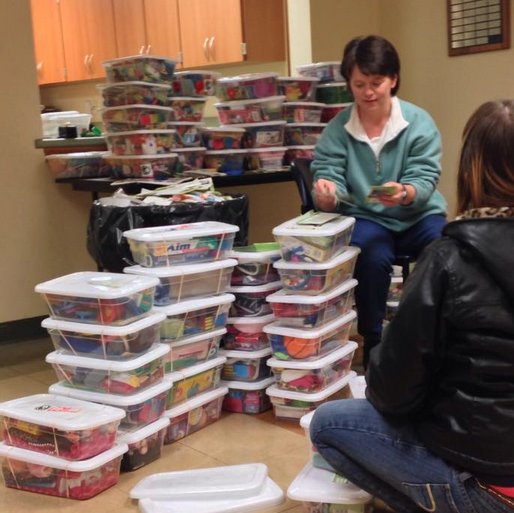 Every year, the church collects shoeboxes for Operation Christmas Child, which sends boxes to children around the world. Our goal this year is to fill 75 boxes!